Looking for a fun, relatively healthy dessert your whole family will enjoy? Here is a dairy-free version of a traditional Indian treat for Eid, sheer khurma. It is a unique vegan dessert that is easy to make and delicious! Let me begin by saying that this is NOT a traditional Indian dessert. It is my own reworking of sheer khurma, a dessert that usually has a milk base, because I wanted a version I could serve to my son with a milk allergy. If you search for “vegan sheer khurma” or “dairy-free sheer khurma” online, you are unlikely to find any real results. In the original Persian, sheer khurma literally means “dates with milk,” so not a recipe you would think of making without the milk! But when we read Let’s Celebrate Ramadan & Eid! (see my review below), we became curious about this traditional dessert mentioned several times as a delicious treat for Eid. When I discovered it was made with milk, I decided I had to make a non-dairy version, a vegan dessert we could all enjoy. It may not be traditional, but it is still delicious! And it is so different from the desserts that we’re used to that it did give us a flavor of what celebrating Eid would be like in places like India. I just love the creaminess of sheer khurma, combined with the crunch of the roasted nuts. And the cooked dates add even more body as well as natural sweetness. I must admit for my kids at first it was hard to get past the idea of having pasta in a dessert, but once they tried it, they loved it! Sheer khurma (or sheer khorma) is a traditional dessert served for Eid, the celebration that marks the end of Ramadan, the Muslim month of fasting. I adapted my recipe from this version from the Veggie Indian. The main change I made was to substitute coconut milk for regular milk and coconut oil for ghee. I also reduced the amount of sugar from 1 & 1/4 cups to 1/3 cup, since it already has a lot of natural sweetness from the dates. Heat a tbsp of coconut oil in a skillet, and roast the vermicelli on a low flame till golden. Set aside to drain on a paper towel. In the same skillet, heat a tbsp of the coconut oil and roast the mixed nuts for 1-2 minutes on low heat. Remove from heat and keep aside. Heat coconut milk in a sauce pan and let it come to a boil. Lower the flame and let simmer for 10-12 minutes, until the milk thickens slightly. Add the roasted vermicelli, and let it cook in the coconut milk for 5-7 minutes, until the pasta becomes soft. Add the sugar, nuts, dates, and raisins and mix well. Continue to simmer for another 15-20 minutes, until the dates grow soft and the amount of coconut milk reduces by nearly half. The vermicelli should be fully cooked. Adjust the sweetness and consistency, if needed, by adding more sugar or coconut milk. Keep in mind that the mixture will thicken even more with time. Finally, add the cardamom powder and rosewater, stir, and remove from heat. If desired, garnish with additional nuts and serve warm. Enjoy!
. It is part of a series of books exploring Indian culture. What is surprising to most Westerners is that there is a large number of Muslims in India, though we tend to associate that country with Hinduism or Sikhism. gives an easy to understand overview of Ramadan and Eid as it is celebrated in India, in addition to highlighting traditions from other countries. One thing I love about this book is that it shows children at different stages in their participation in Ramadan, from an older child who is practicing fasting to younger children who give up toys or sweets in lieu of fasting. This book is perfect for the classroom or home setting, as a way to help children understand why Muslims observe Ramadan and Eid and what it would be like as a child to experience them (such as by eating sheer khurma!). What is your favorite vegan dessert? I am fascinated by the Hindu celebration Holi, the one you see the amazing photographs of each year, with people showering each other with vibrantly colored powders or colored water. But to be honest, beyond the sense of it as a joyous, lively festival, I really didn’t know much about it. Well, dear reader, for you I have decided to go deeper and find out more: Here is why now I’m convinced everyone should learn about Holi! I received a copy of Let’s Celebrate Holi for review purposes; however, all opinions are my own. This post contains affiliate links. If you click through and make a purchase, I receive a small commission at no extra cost to you. 1. It is incredibly fun. Holi is one of the most fun celebrations I have heard of! The most famous aspect of Holi is how celebrants throw colored powder on each other and spray everyone with colored water, until everyone and everything is covered with beautiful, bright colors. Talk about fun, especially for kids who are always told to be careful not to spill or get their clothes dirty! (Find out how to make your own homemade colored powders). 2. It celebrates the triumph of good over evil. No matter what your religion or philosophy, the battle of good and evil is a classic struggle where we all can support the same side! Sharing the story of Holi is a great way to teach children that when it comes down to it, all people believe in the same basic principles. 3. It is celebrated throughout India and around the world. 4. The food is spectacular. As with so many holidays, Holi is a time of eating special foods, like the gujia pastry or the refreshing spiced milk drink thandai (you can also make a dairy-free version). 5. Your kids will think you are the coolest parent ever. Getting messy, throwing water and powder on each other, eating great food, and hearing stories that excite the imagination: no doubt about it, if you help your kids learn about Holi, they will think you are awesome! Convinced? Then I have the perfect guide to teach you and your kids all about Holi! You may remember the series I have reviewed previously about Maya and Neel, the brother and sister who introduce children to Indian culture. They taught about Mumbai in Let’s Visit Mumbai! and the holiday Diwali in Let’s Celebrate 5 Days of Diwali! (see my reviews here and here). In their latest adventure, Let’s Celebrate Holi! , Maya and Neel help children learn about Holi through traditional foods and activities. I love that the book also highlights regional variations in how Holi is celebrated, with colorful illustrations and maps. I also appreciated reading the story behind Holi, something I had never really understood before. After all, what does throwing powder on each other have to do with the triumph of good over evil? Find out, plus discover what it has to do with the bonfires during Holi! As with the other volumes in this series, the illustrations are beautiful and engaging, and young readers can easily relate to these siblings as they learn about Holi and Indian culture, as seen through the eyes of children. If you are looking to introduce your child to this festival or want a story to share in your classroom, I highly recommend Let’s Celebrate Holi!! Ramadan is ending soon, which means that Muslim families and communities are preparing to celebrate Eid. 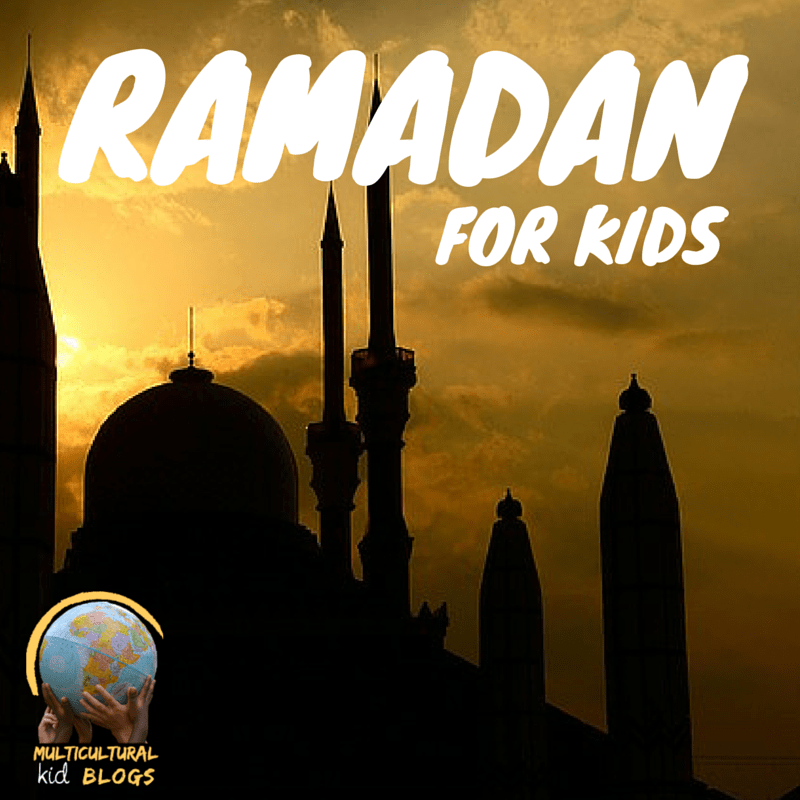 (For more on teaching kids about Ramadan, read this Ramadan lesson plan). 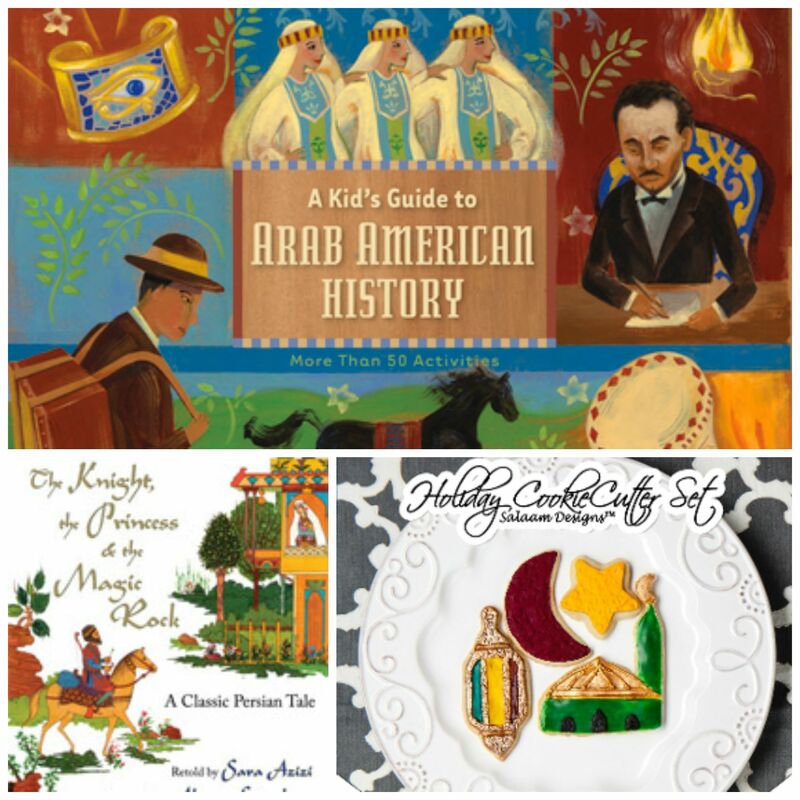 If you are looking for Eid books to read with your kids, they can be difficult to find! 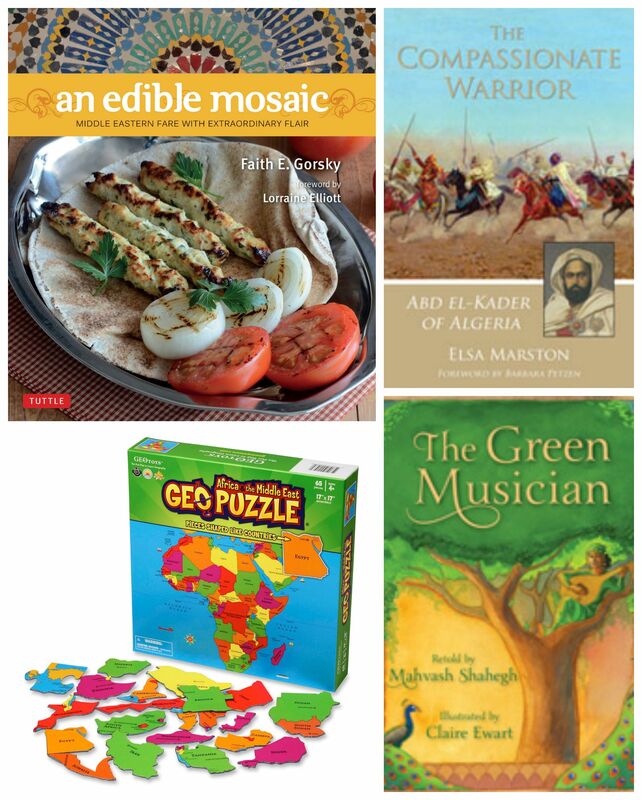 I am lucky enough to have been send several wonderful Eid books to review, which I’m happy to share with you below. They are a wonderful introduction to the holiday for Muslim and non-Muslim children alike! Disclosure: I was sent complimentary copies of the books below for review purposes; however, all opinions are my own. This post contains affiliate links. If you click through and make a purchase, I receive a small commission. we meet Amal, a young Indian boy preparing to celebrate Eid with his family. As the family gets ready for the holiday, readers learn about the family’s Eid traditions, such as the special foods and clothes, gifts and music that mark the celebration. Amal is a very endearing character, and I love this portrait of this loving family, where aunties slip the kids treats before the big meal and everyone hurries to tidy up before the grandparents arrive for dinner. A great introduction to Eid, plus even those familiar with the holiday will be interested to see how it is celebrated in this part of the world.
. Amal is now 12 and fasting for the first time. It is great for talking about what fasting is like for kids – from being tempted by a friend’s cookie to feeling dizzy after running around with friends. Amal feels ashamed when he has to drink juice during the day, but loving guidance from his family shows him that the important thing is that he tried and that with time it will get easier. Ramadan is coming, and in many homes across the world families are busy preparing for this special time. Last year as part of our world cultures curriculum, I put together this Ramadan lesson plan, appropriate for early elementary school children. (Many of the activities could be simplified for preschoolers). Because I like to integrate our subject matter as much as possible, it includes science, math, and literature, as well as religion. Since it was primarily designed for children with no prior knowledge, it includes a very basic introduction to Islam. Disclosure: I received a complimentary copy of Zachariah’s Perfect Day for review purposes; however, all opinions are my own. This post contains affiliate links. If you click through and make a purchase, I receive a small commission. by Demi, one of our favorite authors. It is a beautifully done and very respectful account of the life and significance of Muhammad. It is a wonderful overview geared towards younger readers. (You can also play some vocabulary games by picking out words that your students might not know, defining them together, then asking them to either act them out or draw pictures). I pointed out how the illustrator was careful not to paint pictures of Muhammad, following a hadith, or tradition, that forbids creating images of Muhammad. 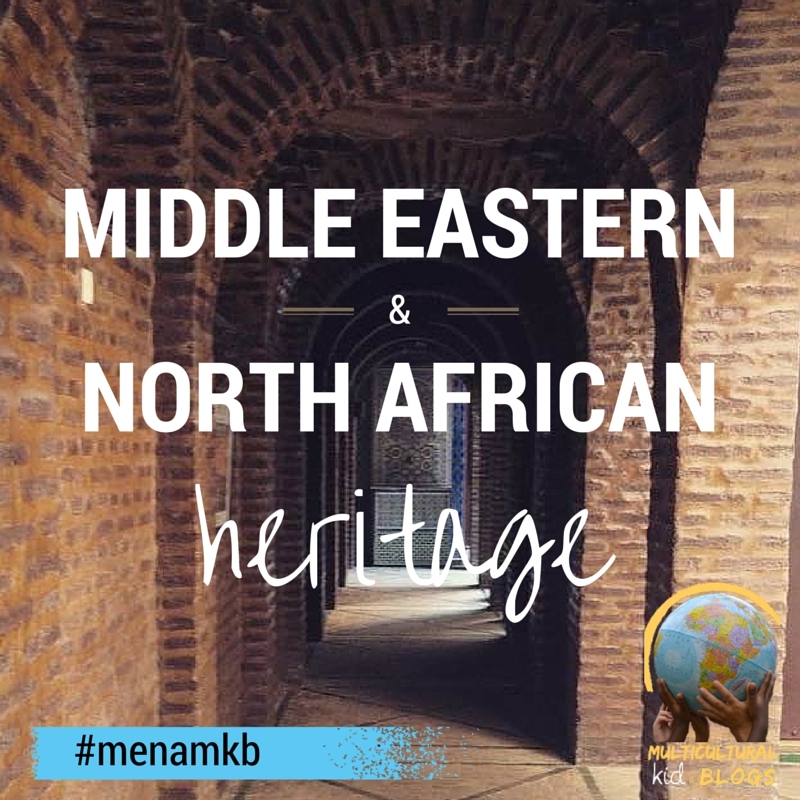 We looked at photos of the beautiful mosaics and calligraphy as examples of other types of Islamic art that have grown up over the centuries instead. We then tried our hand at this Arabic calligraphy lesson for kids. We discussed the Muslim calendar and how it is a lunar calendar (that is, based on the position of the moon relative to the Earth), instead of the more familiar solar calendar we use (based on the orbit of the Earth around the sun). The Muslim calendar has 12 months, just like ours does, but because the Muslim month is based on the phases of the moon, each month is 29-30 days long. The lunar year, therefore, is shorter than the solar year by just over 10 days, meaning that the Muslim calendar seems to rotate around the solar calendar. (You can read more about calendars of the world, including the difference between solar and lunar calendars). So sometimes Ramadan is in the summer but sometimes in the winter, spring, or fall. This is a pretty abstract concept for kids to grasp, so we did an activity to see how the dates on the solar and lunar calendars compared. We pulled out a calendar and did a “race” between the solar and lunar calendars, with the starting line t January 1. Then we counted out 29 days for month one and marked it on the calendar, then counted another 29 days for month 2, etc. until we had completed one lunar year. Now where was the first day of the new year? How far off was it from the solar new year? Who had won the race? Depending on the interest of your students, you could continue the activity for one or two more cycles and see how far off the calendars are after only a few years.
. They each made their own chart by cutting out pieces and gluing them on black paper. We also did this really great visual activity that makes it very clear why the moon looks different throughout the month. Kids will have fun taking turns at being the Earth! is a wonderful book about a boy’s first time fasting during Ramadan. I love that it gives a very easy to understand overview about what Ramadan is, woven naturally into the story. It shows what makes it such a special time and what a typical day during Ramadan looks like for a family. It even includes the call to prayer and some recipes for Zachariah’s favorite foods (even deep-fried Oreos!) The excitement and joy of Ramadan really come through, as we experience the fast through Zachariah’s eyes.
. Through gorgeous illustrations and simple text, it introduces major symbols and traditions of Ramadan. It is easy to read and lends itself very easily to craft projects. You could also have children talk about what are the important colors of their day. My boys have short attention spans when it comes to crafts, so we did a very simple project of gluing torn paper onto crescent shapes. 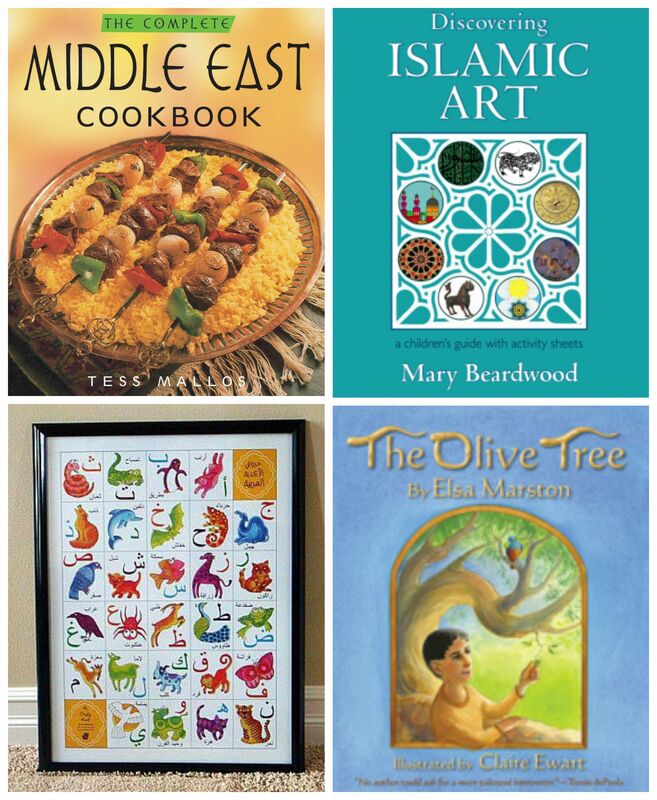 (You can find tons of wonderful craft ideas on our Ramadan Pinterest board). ‘s includes a recipe for parathas from India. You could also keep things simple by bringing in dates for them to try! One of the most important parts of Ramadan is focusing on spiritual growth through good deeds and charity. A great activity for this is to make these colorful good deed jars for them to use. You could also do a simple service project together. For example, we baked cookies to share with the staff at my older son’s school. Ramadan is such a joyous time of year. It is a wonderful way to teach children about Islam and how it is practiced by families around the world and right next door! If possible, a great final step to this lesson would be to contact a local Muslim community and see what Ramadan celebrations you can visit with your students! Get ready for some spring fun with the Hindu festival of colors! 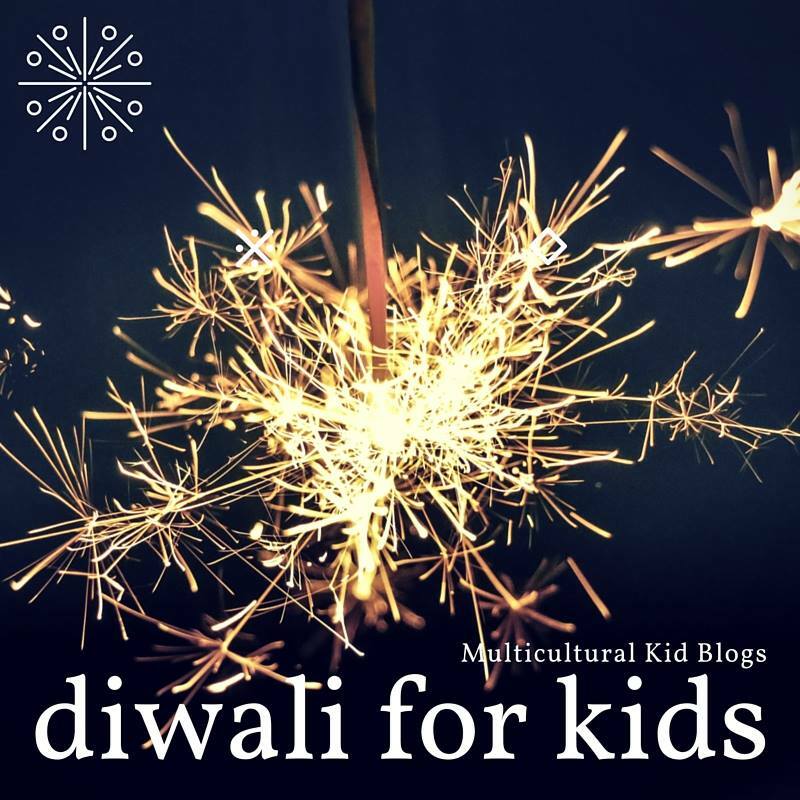 Today you can find me over on Multicultural Kid Blogs sharing some great Holi crafts and activities, including coloring pages, party ideas, and safety tips!